Richard Levin has been a partner at Akin Gump Strauss Hauer & Feld since 1979 with a global disputes and competition practice as well as heavy emphasis on issues related to his home state of Texas, particularly in the energy, competition and intellectual property areas. He has been involved in arbitration issues since the 1980s and is looking forward to taking that forward full time from 2018 onward through Richard Levin Arbitration LLC. He expects to practice from Texas as well as London. While at Akin, Richard was first chair in cutting edge litigation for Exxon Mobil, especially in the chemical and oil pricing sectors. He has also served as lead lawyer for the major French industrial steel tubular concern, Vallourec SA, and has been the leader in a number of litigation, antitrust and IP related transactions for that company. At Akin, he has first chaired large international arbitrations seated in Europe, Asia and the US and was involved in one of the first Chapter 11 investment cases under the NAFTA Treaty. In addition, and most recently, he has served in the capacity as arbitrator, both as sole arbitrator and as member of a three person tribunal in large matters under the ICDR, ICC, and AAA rules. He is a Fellow at the Chartered Institute of Arbitrators (FCIArb), and has been selected as a Chartered Arbitrator (C Arb), a member of institutional panels throughout the world, and a member of international arbitration groups throughout the world. Richard is profiled on the Global Arbitration Review Arbitrator Research Tool (GAR ART). Richard has received peer recognition awards throughout his career. Richard received his JD from Georgetown University and BA from Tulane University. He served as law clerk for The Hon John C Godbold of the United States Court of Appeals for the Fifth Circuit, after which he began his career at Sullivan & Cromwell, New York City. He then returned to Dallas to Akin Gump Strauss Hauer and Feld. He also has had a long history in pro bono practice in some very high profile matters. Today, he focuses his pro bono work helping children with disabilities in their education issues. 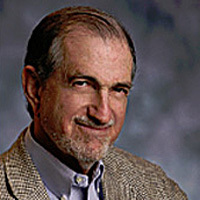 Finally, Richard also has a long history and passion for the arts, and has served on major boards in the US and abroad.